Imagine Inflatables offers a full Project Management service from the initial design concepts, manufacture and installation, operating it for the campaign through to returning it to our warehouse for cleaning and storage until the next event. Imagine offers full logistical support both within the UK and abroad. We supply teams which will install, inflate and stay with the inflatables for the duration of the event. Organise shipping to and from the event (globally) accomodation, flights, insurance, electrical issues, on site repairs etc are all part of the logistical service. All our operators have their own Blackberries so are constantly available via telephone or email on site. Pictures can be taken of any problems or issues on site and relayed back to the client and our main office in realtime, so the issues can be resolved quickly. The operational team have an in house Project Manager who will manage the project and coordinate the installation from our main office. London 2012 Summer Olympic Games was a project that we supplied a team of staff to manage the giant inflatable clouds that we designed and manufactured. Our expert inflatable operators managed the clouds in the stadium and instructed the volunteers that handled the clouds. Imagine organised logistics for the 13 rehearsals we had to attend. This involved complex scheduling of deliveries into the stadium and our team undergoing extensive accreditation and security checks. Imagines expertise in Event Management enabled the smooth running of one of the key visual parts of the London opening ceremony which was a global success. 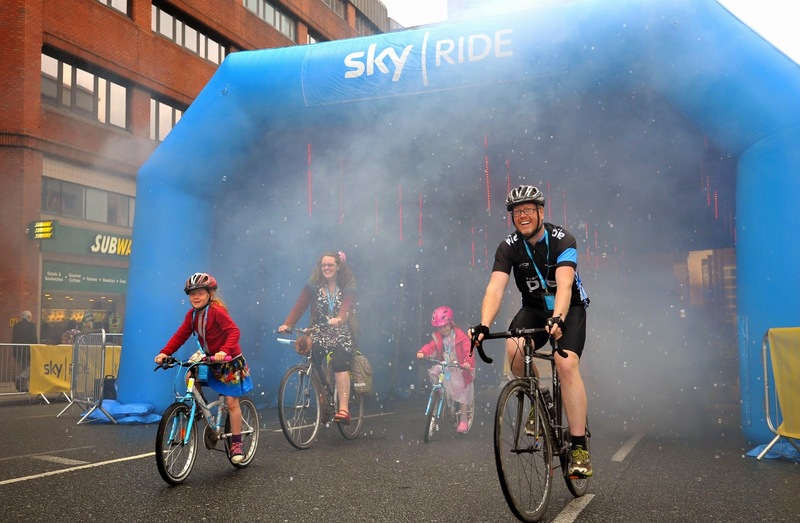 Sky Ride 2014 was a cycling event that travelled the UK. Imagine were instructed by the client to design, manufacture and install a Giant 15M Inflatable Tunnel. There were 11 events around the country and Imagine succesfully installed and managed logistics for each one. The customers expectations were more than lived up to. Imagines excellent team of inflatable operators alongside project managers in the office allowed the customer to feel comfortable leaving each installation fully with Imagine to deal with. This was just one of the many sporting events that Imagine have been involved with both supply and installation. Full and continual testing of inflatables throughout the production process and random sampling of bulk orders is carried out by our warehouse, ensuring the performance and accurate reproduction of the customer's product shape. Imagine also provides a full instruction, operations and installation service for all of its inflatables, from single site installations to nationwide multi-site rolling installation with 24-hour service coverage. Packages can be designed to suit the client's requirements - just contact us for more details. Imagine offers both UK and global installation coverage for your inflatable promotional campaign. From supply of operators, organising travel and accommodation, generator hire, insurance, through to shipment of inflatables and accessories around the world and back home again. Imagine offer a full storage and cleaning service for your inflatables. This is very important to maintain the durability and lifespan of the inflatable. Between contracts, we can store the inflatables in our insured and heated warehouse. This prevents damage to the inflatables via rodents or mould from cold damp conditions. All inflatables are dried prior to packing away in the storage warehouse.